Seattle – A new study published in the September 2014 volume of the Journal of Public Health and Epidemiology reveals a significant correlation between autism disorder (AD) and MMR, Varicella (chickenpox) and Hepatitis-A vaccines. Using statistical analysis and data from the US Government, UK, Denmark and Western Australia, scientists at Sound Choice Pharmaceutical Institute (SCPI) found that increases in autistic disorder correspond with the introduction of vaccines using human fetal cell lines and retroviral contaminants. Their study comes on the heels of recent breaking news that the CDC deliberately withheld evidence of the significant increase in autism among African-American boys who were vaccinated prior to 36 months of age. 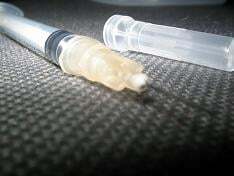 (See: http://www.examiner.com/article/whistleblower-reveals-cdc-cover-up-linking-mmr-vaccine-to-autism). Unfortunately, Dr. Deisher’s team discovered that the fetal DNA levels ranged anywhere from 142ng – 2000ng per dose, way beyond the so-called “safe” level. Certainly these discoveries by SCPI should generate an immediate investigation by FDA officials, if not an outright ban on the use of aborted fetal cell lines as substrates for vaccine production. There are numerous other non-human FDA-approved cell lines that can and should be used. Dr. Theresa Deisher is a PhD in Molecular and Cellular Physiology from Stanford University with over 20 years in commercial biotechnology, prior to founding AVM Biotechnology and Sound Choice Pharmaceutical Institute. As an inventor of 23 issued US patents she is world-renowned for her work in adult stem cell research and the first to discover adult cardiac derived stem cells. Dr. Deisher was a plaintiff in the US federal lawsuit to prohibit the use of taxpayer dollars for embryo destructive research, which resulted in steering science towards adult stem cell research and 14 US FDA approved adult stem cell products.